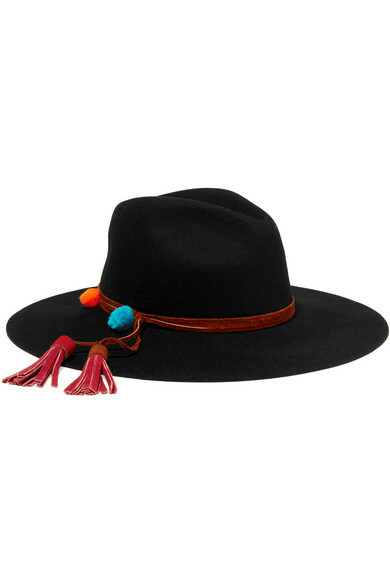 Sensi Studio's black fedora is handcrafted from wool-felt and embellished with playful blue and orange pompoms - one of our favorite details this season. 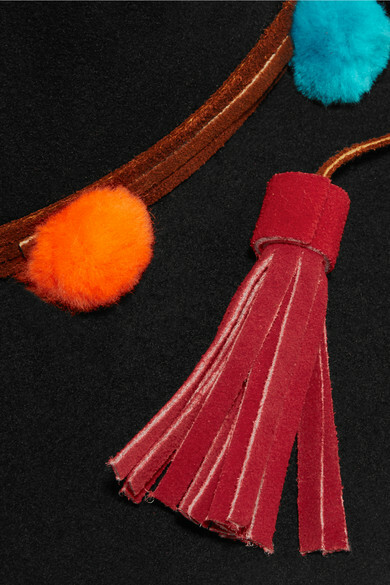 It's finished with brown suede trims and red tassels to add to the bohemian vibe. 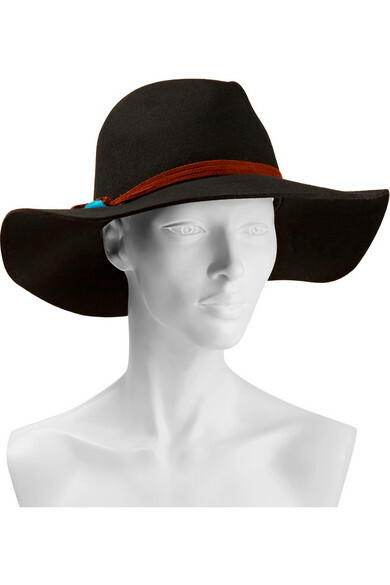 Warmer than straw styles, it's the ideal accessory to take you into fall. Shown here with: LemLem Dress, Jennifer Fisher Earrings.